The International Institute for Critical Studies in Improvisation and Coastal Jazz invite proposals for papers and presentations for our eleventh colloquium in Vancouver, British Columbia—Agile Futures: Approaching Improvisation. The colloquium will take place during the opening weekend of the TD Vancouver International Jazz Festival at the Western Front, one of Canada’s leading artist-run centres for contemporary art and new music. 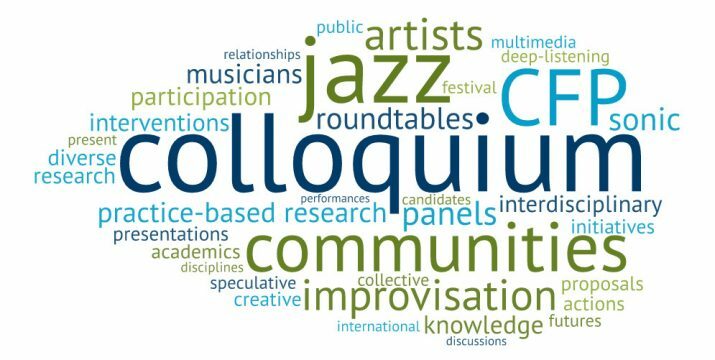 The colloquium will feature as keynote speakers several world-renowned improvisers who are performing at the festival. We are inviting proposals for 20-minute presentations from artists, academics and community members. Proposals for panels would be welcome, and we are especially interested in supporting various forms of interdisciplinary, multimedia, practice-based research.